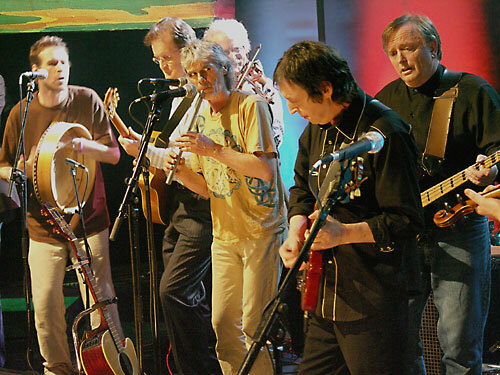 This is from the Horslips Special show on TG4's Ardan in March 2006. Liam Ó Maonlaí of 'Hothouse Flowers'. Anoghus McAnally - Band mate of Steve Travers in both Starband and in Cracker, and also a member of Mushroom. Our very own Johnny Fean. Barry Devlin - Producer of The Crack's "When the Time Comes", and band mate of Johnny in Horslips.